Recently I was speaking with a friend and client who has been resident in the US for quite a few years. On a visit to Oz, she was following up on signing the acceptance of her appointment as an attorney under her father’s Power of Attorney. 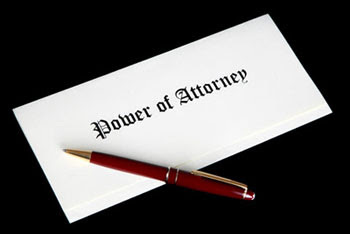 For those not in the know, a Power of Attorney is a legal document by which a person appoints another, the Attorney, to manage the person’s legal and financial affairs. (By the way, if you don't have one, think about doing so. As President Kennedy said, the time to fix the roof is when the sun is shining. It's often too late to make one when it is actually needed). There seemed to be some confusion with my friend when I explained her role as an Attorney under the Power of Attorney, her confusion and concern stemming from the fact that she had no legal qualifications. 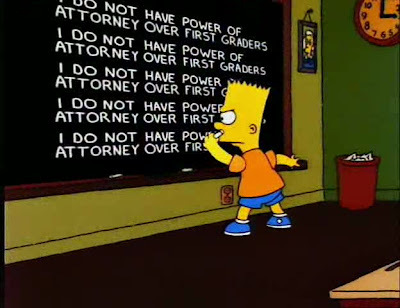 Eventually we worked out that she was applying the American meaning of attorney as a lawyer, not as the person appointed under a Power of Attorney. The word dates from about 1300 from the Old French “atorner”, meaning to turn to or assign to. The past participle, “atorne”, was used as a noun for someone appointed, in much the same way as “appointee”. From there the meaning became someone appointed to act as someone else’s agent, one appointed to represent another’s interests. Ultimately the term came to mean a legal agent, someone appointed to act for another in business or legal affairs, usually for payment. In that context the person so appointed was commonly known as a “private attorney” or an “attorney in fact”. In contrast, an “attorney at law”, also known as a “public attorney”, was a qualified legal agent in the courts of Common Law who prepared the cases for the barristers. Those barristers then pleaded the cases in the courts. The attorney was therefore the equivalent of the modern day solicitor, the Judicature Act of 1873 abolishing the position of attorney and merging it with solicitor. The term “solicitor” had always been the title for those lawyers who practised in the courts of equity. ". . . he did not care to speak ill of any man behind his back, but he believed the gentleman was an attorney." A power of attorney is a legal document that authorizes one person to act on behalf of another in the legal or business dealings of the person authorizing the other.